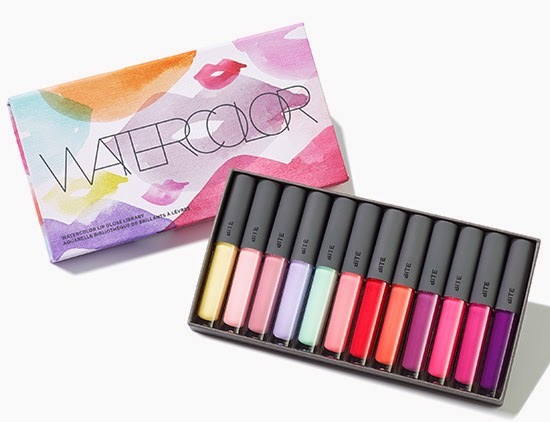 Bite Beauty Watercolor Lip Gloss Library will retails for $49 USD ($X CAD) and contains twelve sheer glosses in a range of beautiful translucent wash of colors. * One is described as a yellow. * Two is described as a light pink. * Three is described as a pink. * Four is described as a lavender. * Five is described as a green. * Six is described as a pink. * Seven is described as a red. * Eight is described as a coral. * Nine is described as a plum. * Ten is described as a dark pink. * Eleven is described as a fuchsia. * Twelve is described as a purple berry. "A delicate palette of ethereal shades inspired by the beauty of watercolor. A range composed of twelve soft shades for a beautiful translucent wash of color and alluring shine. Each sheer gloss provides hydrating properties that will leave your lips lush and supple. BITE Beauty is created with natural and food-grade ingredients for beauty that’s better for you. 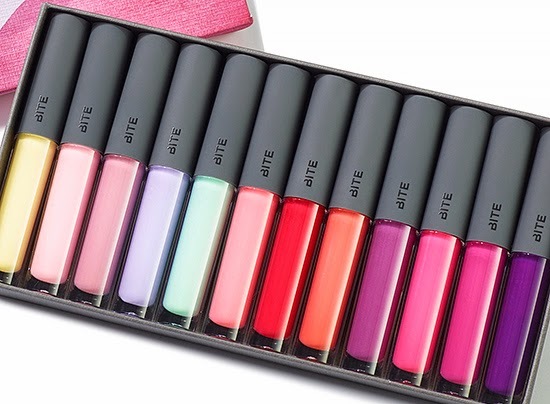 BITE Beauty lip products do not contain parabens, sulfates, petrochemicals, phthalates and are certified gluten-free. “We were all so inspired by this colour palette – beautiful and effortless shades that are also a little irregular and unpredictable. A gorgeous wash of colour that offers a subtle yet striking lift of colour for lips.” – Susanne Langmuir, Founder & CEO"
Available at Sephora on April 7 (VIB Rouge), April 15 online and April 16 in-stores. Disclaimer: All information provided by the company.